Particle & Surface Sciences have introduced the Dataphysics DCAT 11 dynamic contact angle meter and tensiometer. 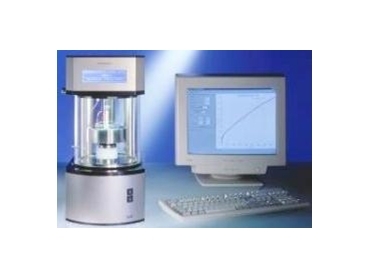 The DCAT 11/11EC is used for the software-controlled measurement of the contact angle of powders and fibre bundles and the adsorption behaviour of liquids on wettable materials, according to the modified Washburn method. Another use is for the dynamic contact angle and the surface energy of prismatic and cylindrical samples according to the Wilhelmy method, the static surface and interfacial tension of liquids and the critical micelle formation concentration of surfactants (CMC) according to the Wilhelmy Plate method, Lenard Frame method or the Du Noüy Ring method with automatic ring correction according to Huh & Mason, Zuidema & Waters and Harkins & Jordan as well as for fully automated reproducibility measurements. It is prepared for the installation of a liquid temperature control unit with integrated magnetic stirrer for mounting either of the sample vessels TV 50/TV 70/TV 100. Particle and Surface Sciences are the sole distributors for the Micromeritics range of products throughout Australia and New Zealand.